The curriculum vitae is an essential component of academic life. It represents the timeline of academic activity that catalogues various “products” (of varying value) expected to be delivered during pursuit of knowledge and deep cogitation. While similar in structure to non-academic CVs or resumes, the academic version meticulously documents the various contributions to academia like a terribly dreary food diary of a B-list celebrity. It is used to assess, to measure, to compare. Graduate students seek out activities that can expand their nascent file while more elderly academics preen their h-index, citation count and listings of papers and presentations in the hope some prize committee will be impressed with the weight of it. It became de rigeur for funding agencies to require submission of a CV-like document along with an application as a means to help reviewers evaluate track record and impact. But herein lay a problem. Each agency and funder required slight variations of the content and format of same basic CV. Moreover, its lack of standardisation undermined attempts to collate and aggregate data for reporting. Academics built multiple variations of the CV tuned to the specific needs of the situation. Maintenance and updating became onerous. From this quagmire sprang the wonderful concept of the Common CV. A single home for a generic CV that could then be used as the template from which to extract specific information as needed for opportunities. The Canadian Common CV (CCV) was thus born, more than a decade ago. It started small with a few Federal agencies requiring it’s use and has grown to include a wide variety of charities, other agencies and organizations. In the early days, there were teething troubles. The system appeared underpowered in infrastructure, scaled poorly and had a simply awful interface. As academics encountered these frustrations they did what they always do and delegated CV maintenance to their assistants. These people suffered in silence but became superbly skilled and conversant in the esoteric rules and foibles of the CCV. They learned that as a deadline approached, the system would slow to a crawl. They became adept at interpreting error messages, user interface quirks (there were many) and shared intelligence on the best browsers to use (and which to avoid). A small industry was spawned with companies contracted by Canadian universities to provide a more usable portal (I kid you not – people are paying real dollars for the ability to navigate the CCV!). For a period of time, the system scraped through and its peccadilloes were largely hidden within a cadre of prematurely aging administrative assistants and grant offices. But at no point, in my recall, did users applaud the CCV or wax lyrical about its existence. Why was this? Surely it simplified the process, reduced duplication, created efficiencies. No. No. No. Instead, the ability to change the data to be included in any CV seemingly intoxicated the agencies that mandated its use. The format continuously changed. New fields were added to extend the scope of activities to be recorded. A simple import of a publication would lead to error messages. While sales of hair dyes were increasing, the CCV started a descent into the darkness, aided in no short manner by one of its primary clients, the Canadian Institutes of Health Research (CIHR). A couple of years ago, this agency embarked on a massive restructuring of its funding programs and methods of adjudication. It was already a professional crafter of bespoke CVs that were only applicable to single competitions but it has positively radiated new CCV functions over the past couple of years, in concert with the CIHR reforms. One egregious example involved formatting of Stage 2 CVs for the 2014/15 Foundation scheme competition. Since the application format was character limited, reference to specific Stage 2 Foundation Scheme CV entries was encouraged. But there was no publication or trainee numbering. So applicants perverted the author field to include this information, as in 1. Author, Initial …., 2. Author, Initial… etc. A day after the submission deadline CIHR and CCV announced they would apply new formatting to the submitted CVs that reviewers would see, by adding numerals. The CV entry now read, 1. 1. Author…. Or some garbled variation thereof. After the predictable outcry, the new format was hastily abandoned. At some point in the gestation of CCV design, a Web 2.0 savvy programmer was taken on who introduced field validity checking, syntax testing, etc. CVs legitimate for one use became decorated with red crosses when applied to the next. Understanding the reason for a given “X” became a sport with a cast of highly skilled and sought after CCV “dumb rule” players (I suspect they leveraged their now indispensable skills to afford better hair colouring products). The UX designers I know offer to buy me drinks as consolation after being exposed to the CCV interface. Some just laugh, uncontrollably. There is presumably a complex algorithm used by systems designers that says a systems transactional throughput must be X times higher that what could possibly be needed. X is usually a whole number, often more than 10. For the CCV back office system my estimate for X is 0.001. This becomes particularly obvious as the aforementioned grant deadlines approach — when the processing rate approximates that of a Sinclair ZX81 (without optional 16K RAM module). Applicants are faced with 404 errors – if they are lucky. If not, they are seduced into gaining access to the enticing login screen. They gleefully enter their username and password and get a promising image of two, albeit frozen, blue gears. 10–60 minutes later, depending on their degree of desperation/optimism, they correctly but reluctantly surmise their browser screen has frozen and are thrown back to the 404 screen. Should they actually find a window of time when the system is operational (CIHR has actually advised users try between 2–5 am), new data sometimes doesn’t stick and is lost (apply more hair product). This occurs at every deadline. It can be so non-functional that the deadline is postponed by a few days, or, as of today, a week (ah, the impetus for this diatribe becomes clear). Messages of desperation scatter over social media. The granting agencies are forced to extend their dates. More hair products are consumed. But wait, there’s more. Not content to scar Canadian academics and their assistants for life, addition of co-applicant collaborators from other countries requires they subject themselves to setting up their own CV (offers of first borns in exchange for exemption have failed). Nothing has done more to stifle international collaboration that this requisite episode of self-flagellation. Moreover, important lay participants in studies are often required to submit a CV for certain types of grant. Investigators struggle to make it as easy as possible for them but have been known to be embarrassed or have scared away people, including patients, parents, and other non-academic experts essential for the research. What was initially conceived as a time saving initiative has become a nightmare. The only thing “common” about the CCV is the uniform hatred of it. As of today, Canadian academics would vote for Donald Trump if it meant the end of CCV. Because this is the only means to submit required data for grant applications, everything is dependent upon it — an ephemeral link made of crystallised sugar in an ever strained chain. As its scope becomes bigger, it becomes more onerous. Time’s up. It has to go. The rest of the civilised world has far more effective biosketches. The more progressive agencies allow the applicant to describe what they think are their most important contributions, and why. Instead of collecting never ending measures (that rarely pertain to useful data), why not leverage active on-line databases that are more easily verifiable such as ORCID, ResearcherID, PubMed (including the CV publication list feature of PubMed), or Google Scholar? Indeed, unless this is some form of hair product industry scam, the time for CCV has long passed. It has never fulfilled its simple goal. It is instead a hurdle that antagonizes science and interferes with academic progress. It is a product that makes “As seen on TV” adverts look like they were designed by Gucci. Please do the right thing Canada, when it takes 10X as long to submit a CV as it does to write an application, we’ve long passed the point at which the plug should have been pulled. 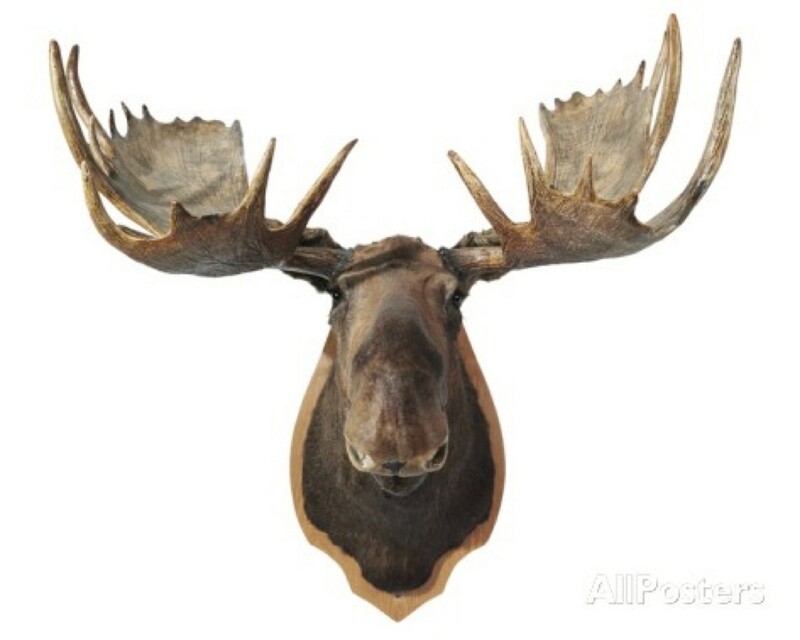 Addendum: The Moosehead is a nod to the classic Fawlty Towers episode involving the precarious wall mount of Mr Moose. RIP Manuel! Addendum 2: Apparently, Common CV is being completely rebuilt from the ground up. Whomever is doing this, please bury the prior code remnants along with some plutonium waste to deter its resurrection. Alternatively, gift it to the North Koreans and solve world peace for a few decades.